Facebook just went through one of the most significant reorganizations in its history, streamlining the sprawling business and paving the way for new ventures like blockchain. But one thing hasn't changed at Facebook (FB): Men still run its biggest products. The newly announced executives in charge of Facebook's core mobile app, Messenger and WhatsApp, are all male. 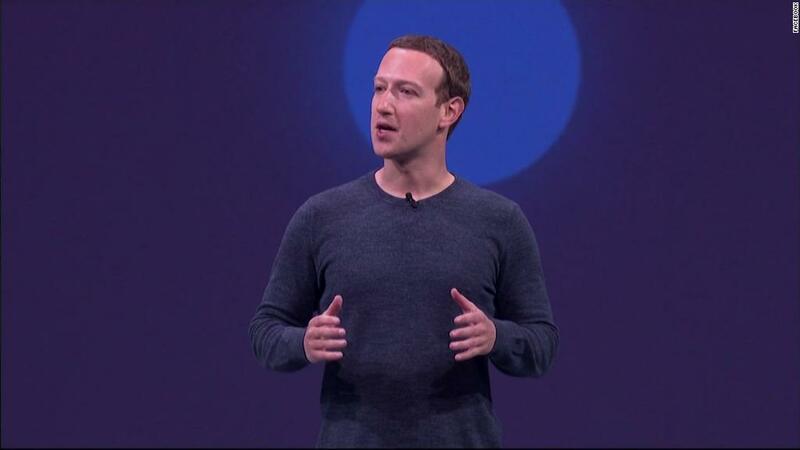 So are the leaders of Facebook's advertising platform, augmented and virtual reality division and its new blockchain unit. These staffers report up to three executives: Facebook's CTO, CPO and VP of Growth -- roles all occupied by men. They report to CEO Mark Zuckerberg. It's not surprising many of the big tech companies remain disproportionately white and male the higher up you go up the corporate ladder. But Facebook's reorganization served as a stark reminder. "Wow, Facebook product leadership is so white and male," Ellen Pao, a diversity advocate and CEO of Project include, wrote on Twitter (TWTR) Tuesday. "Explains why they don't understand the problems with their products." In a statement, a Facebook spokesperson said: "We are transparent about our need for more senior women, especially on the technical side." The company's latest diversity report, released in August 2017, illustrated a gulf between the company's goal of a multiracial workforce and its existing monoculture. "We aren't where we'd like to be," said Maxine Williams, Facebook's global director of diversity, in a release when the report was issued. According to the report, women made up only 28% of Facebook's senior leadership. The group included COO Sheryl Sandberg, VP of social good Naomi Gleit, and Fidji Simo, a VP overseeing Facebook's video efforts. Only 17 of its US execs (or 3%) were black in 2016, according to its EEO-1 report, which looks at its US workforce. The lackluster diversity at the top is particularly important for a company whose products are used by more than two billion people around the world. It could pose significant challenges when it comes to anticipating the ways in which a product is being used or exploited for various communities. "[Diversity] is uniquely important in a product function, but also uniquely important at a company that's influencing how people connect with the world around them," said Joelle Emerson, founder and CEO of diversity consulting firm Paradigm, told CNN. "It's interesting given the conversations that are happening about the product and what types of viewpoints, news, perspectives it exposes users to," Emerson added.